The main components of a solar system, at this point, have been figured out. Module efficiency is higher than ever, inverters are more reliable and it’s tough to imagine more cost-effective and complete racking systems. So, what’s next? Storage? Sure, that’s coming at some point. Solar + storage + EV charging stations will be as common as air conditioning, and we’ll all be pushing buttons to create instant food like on the Jetsons. Heck, things will be so advanced, I’ll even have a reference to replace the Jetsons. But in the meantime, the big opportunities for streamlining costs and improving lifetime system performance are in project modeling and monitoring. Finding, designing, pitching and selling systems in a streamlined way, and then extracting as much value out of that system as possible. Luckily, there is a ton of innovation already in these areas. We rounded up a few platforms and products that might add that extra value to your process or save that extra Valium by easing your pain. Aurora Solar Inc. is a fast-growing, cloud-based solar PV design and proposal software that is used to design over 12,000 new solar projects per week across the globe. 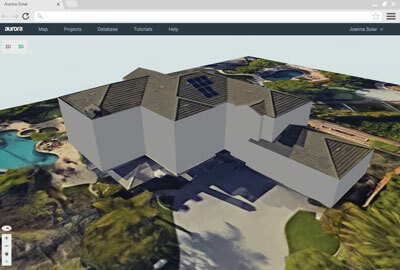 Its latest creation is SmartRoof, a tool that allows anyone to accurately and easily model residential and commercial sites for solar projects. SmartRoof can intelligently infer the internal structure of a roof after a few clicks. Using the software, solar installers can just outline the perimeter of the roof and the software will automatically infer the rest of the roof’s structure. Aurora seems to have thought of everything, like quickly dragging and dropping dormers into the model and integrating them into their respective roof planes seamlessly. The remote site modeling tool enables designers to insert folds and intersect multiple roof structures, making modeling of complex roof structures significantly easier. This allows designers to create a permit-ready 3D model in less than a minute. In fact, its remote design and shade analysis tools are so accurate and reliable that several rebate authorities allow Aurora reports to replace measurements collected through a physical site visit and inspection, such as the Connecticut Green Bank, New York State Energy Research and Development Authority (NYSERDA), Energy Trust of Oregon and a bunch more. Continental Control Systems has designed a new meter module for mass production, the WattNode Meter, customizable for OEM metering design. Revenue-grade accuracy is obtainable using the CCS Accu-CT family of split-core current transformers. The WattNode Meter Module is a bidirectional networked energy meter offering energy measurement parameters such as energy (kW), power (kWh), voltage, current, demand, kVAR, kVARh, power factor, frequency, etc. These energy values are communicated using the Modbus RTU communication protocol over RS-485. The meter utilizes any external mounted or PCB mounted 0.333 Vac current transformers. Available as single- and three-phase modules, the meter is externally (instrument) powered from 12 to 24 Vac (isolated) or 6 to 24 Vdc. One model can measure 120 to 600 Vac, single-phase or three-phase, wye or delta services to measure bidirectionally, energy production and energy consumption. Available with a DIN rail mountable enclosure, the meter module is customizable, also available as a PCBA for imbedded energy measurement applications. 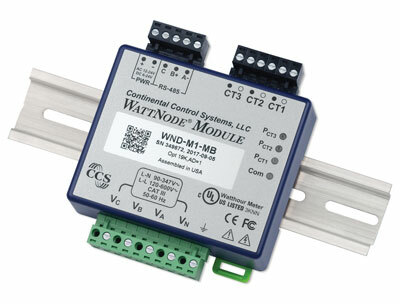 The meter module is designed to be a low-cost customizable OEM meter. Cost reduction options such as no LEDs, no enclosure and component reduction for single-phase operation, are customizable examples that lead to a cost-competitive, high-accuracy meter for solar and energy storage applications. 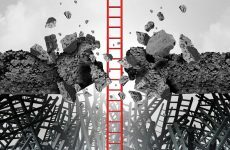 With do-not-call and anti-spam laws in effect, it has made it difficult for companies to run direct marketing campaigns to reach potential customers. Canvasser, by CutterCroix is a mobile solution empowering organizations to streamline, optimize and take command of neighborhood campaigning efforts helping facilitate door-to-door prospecting, a $28.6 billion industry. Be more strategic in your campaigns and make data driven decisions using smart knocking and property data including homeowner, property and financial information. Works on and off line, and is sensitive to data plans and battery consumption, to optimize its use in the field for extended periods of time. Makes data collection a breeze and allows you to add custom questions to capture the data you want to collect to qualify prospects. Follow-up appointments are scheduled using on-screen drag and drop calendar functions, giving visibility to other team members’ calendars. Dictate notes using voice to text — spending more time knocking and less time typing. 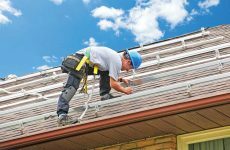 Here’s what we know about selling solar: Inundating customers with too much complex information is intimidating. Also, a slow turnaround can make them impatient and lose interest. This is why the MODsolar platform only includes what your customers really need to know, saving resources and time (yours and theirs). 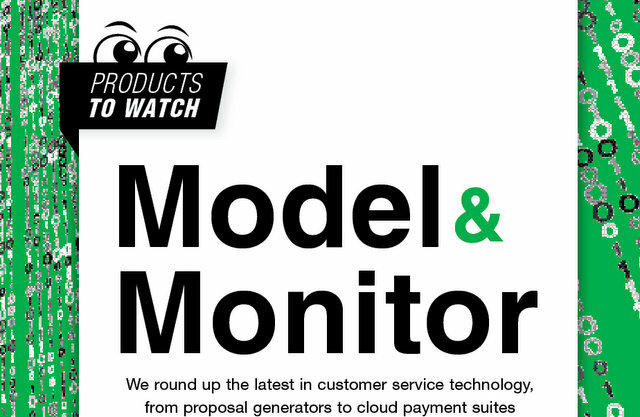 The MODsolar platform is the solar industry’s first open platform for proposal creation, designed specifically to help regional installers close more deals. 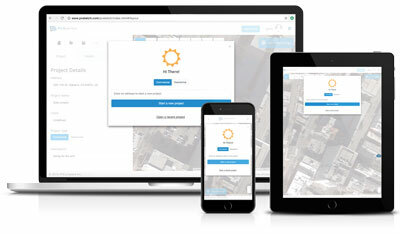 The MODsolar platform lets you create proposals in less than five minutes: Bring up a satellite image of your client’s rooftop, place the arrays, select the mounting type, compare different panels side-by-side and provide detailed computations of incentives and financing options. With a few clicks, you can print out proposals or email them straight to your clients while you’re still on the phone. PayStand is a cloud payment suite that helps eliminate some of the largest financial challenges in accounts receivables and payables. With PayStand, solar distributors, manufacturers and installers, can take payments across multiple channels such as PayStand’s 0 percent network, as well as echeck bank transfers and wholesale ACH and card transactions all in one system. Further, PayStand works directly with invoices, automating financial processes alongside accounting software and ads powerful management and reporting capabilities. 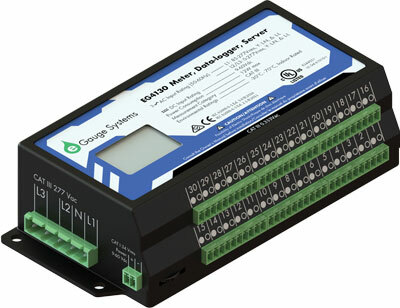 The eGauge multi-circuit energy monitor combines a meter, data logger and server all into one. This powerful combination lets you record data for the lifetime of the device and analyze it with a graphical interface for free online. 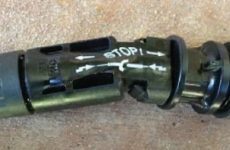 eGauge meters are built to be efficient, reliable and accurate and are made in the United States. Monitor everything: Measure up to 30 points of energy and power, including solar inverters, generators, battery backup systems and EV chargers. Record electricity with bi-directional current transformers to see which circuits are using or producing power. Track AC and DC power systems simultaneously. Get analytical: The eGauge user interface displays graphical and numerical data for everything you measure on a web browser. You can access the interface with or without an internet connection (if you’re on the local network). Export data to spreadsheets, view custom time-frame summaries, see energy costs for each monitoring point. If you’re a true data junkie, there’s even an oscilloscope that shows voltage and amperage waveforms in real-time. Promote your brand: The eGauge user interface has space on the home screen for a custom installer logo, which lets users advertise their installer’s brand every time they show off their solar production. Stay informed: Send text or email alerts which trigger at user-defined thresholds. Alerts are particularly useful when offering performance guarantee contracts because they allow installers to proactively address problem systems. PVSketch is used by hundreds of solar companies big and small to visualize solar designs, accurately model energy production, choose equipment, calculate customer energy savings with a detailed database of rate schedules and plop it all into a proposal. PVSketch is a one-stop-shop for solar project design. The hook for PVSketch is that it requires no training time and is designed for sales teams. PVSketch designs solar projects between 2 kW and 3 MW in size with accuracy in design, energy production and avoided costs calculations. 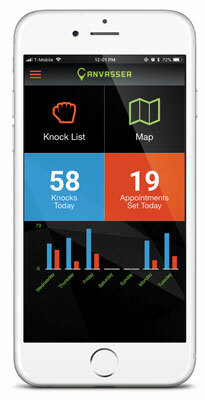 Its functionality on mobile devices allows you to adjust designs on-site in real time with a customer. PVSketch has a database of racking systems to help installers generate a bill of materials with their favorite racking hardware, modules and inverters, then move quickly on a closed sale by ordering the permit plan set or engineering diagrams delivered to their inbox. PVSketch also has a database of utility rates and tariffs for all 52 states for accurate savings calculations. In addition, PVSketch can export project data to PVCAD. With PVCAD, engineers and drafters can build detailed permit plan sets including layouts, electrical drawings and bills of materials and quotes for projects of any size, whether rooftop, ground mount or utility scale. PVCAD quickly creates detailed drawing sets including array layouts, structural calculations, single line diagrams and everything else you need to obtain a permit and bid on any project — from a single-family home up to a multi-megawatt solar farm. Having a CAD software with a database of racking equipment allows you to generate layouts, bills of materials and wind zone calculations specific to your favorite racking manufacturer. Tigo’s latest creation is the SMART app, an asset management and commissioning solution that lets you design, lay out, configure, commission and monitor your PV system all from your mobile device. This app enables you to interface directly with Tigo’s Cloud Connect Advanced (CCA) software via an automatic WiFi Bluetooth connection. Select from more than 2,000 inverter types or add your own on the SMART App. For those installing a lot of Tigo systems already, you can also scan barcodes from a mobile device, troubleshoot system issues on-site and more. New languages: English, French, German, Chinese (Simplified), Italian, Korean and Spanish. Saved searches: Terms and last position are saved when searched in System List. Saved images: A system’s image are saved and reused once downloaded. New metrics: Year-to-date (YTD) and Lifetime production data metrics are available. WiFi connection screen: UX is more applicable to that of iOS and Android. The Solar-Log WEB Enerest App is a new way to view your solar plant data. Powered by the Solar-Log WEB Enerest monitoring portal, this app provides a way to stay up to date on solar PV plant performance on the go, saving both time and money for solar installers and plant owners. The new premium features and comprehensive, interactive graphics create a convenient monitoring tool to keep plant operators fully informed about the status of their solar PV plants. 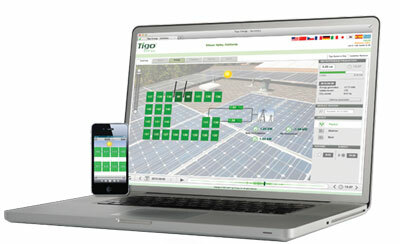 A single solar plant or several plants can be presented on a dashboard with customized views. 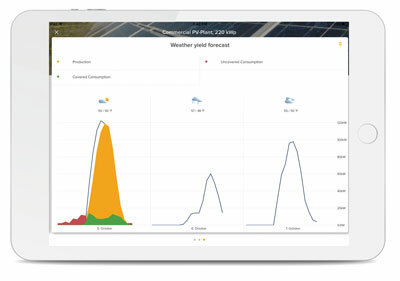 The Solar-Log WEB Enerest App can also show current and historical plant data, as well as data from connected components like consumption meters, weather sensors, heat pumps and heating rods. Actual yield can be compared to expected power production according to integrated weather data. This information allows the O&M provider to ensure maximized solar power production and protect the solar PV asset. Swipe through energy production with daily, monthly, yearly and even lifetime graphs. Visualize home or building energy usage and energy flow to better understand how the energy is being used. Access any plant in your fleet with just one tap.